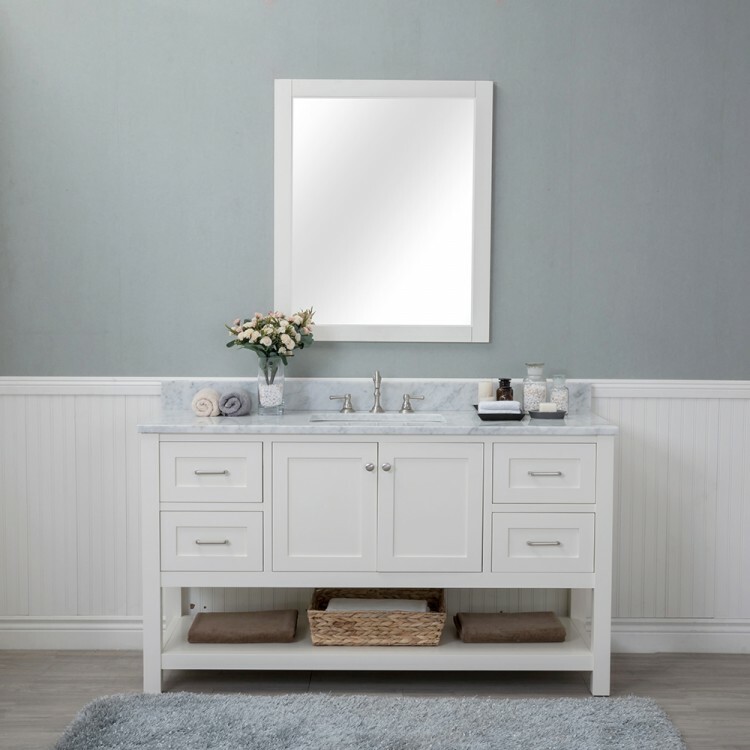 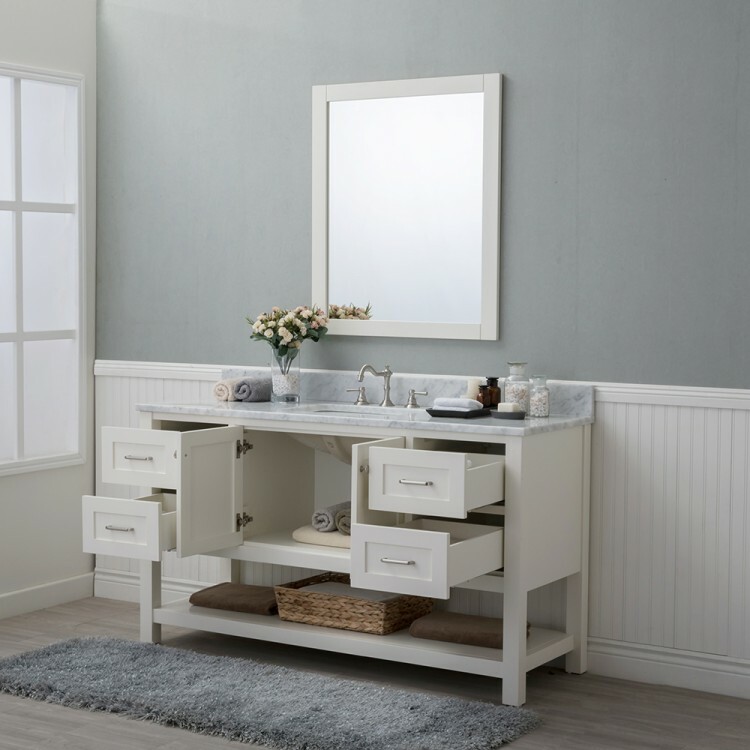 Wilmington 60" white single vanity features classic details and will add a level of sophistication that is perfect for any bathroom remodel and offers the expected security of durability. 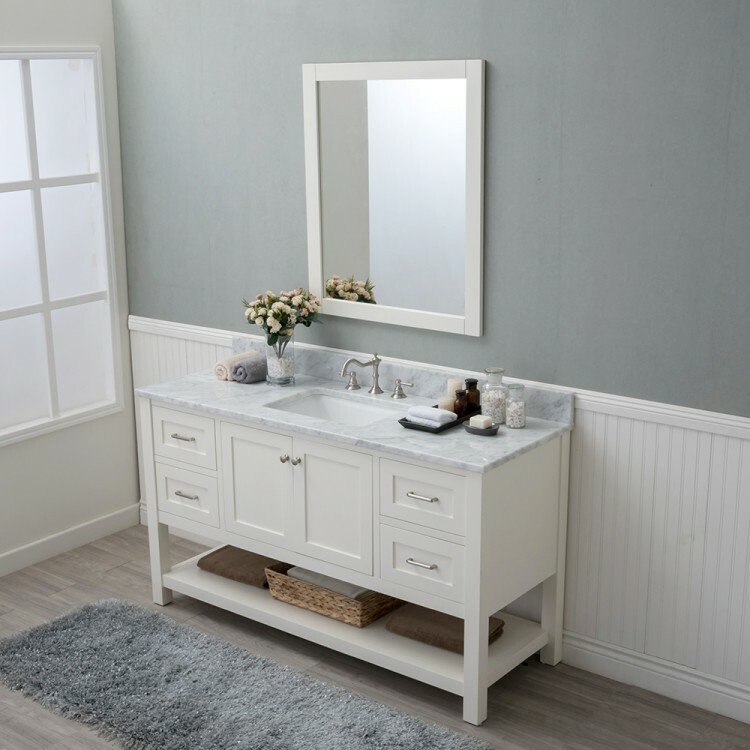 Solid hardwood construction with two drawers, 1" Carrera marble top and porcelain undermount sink. 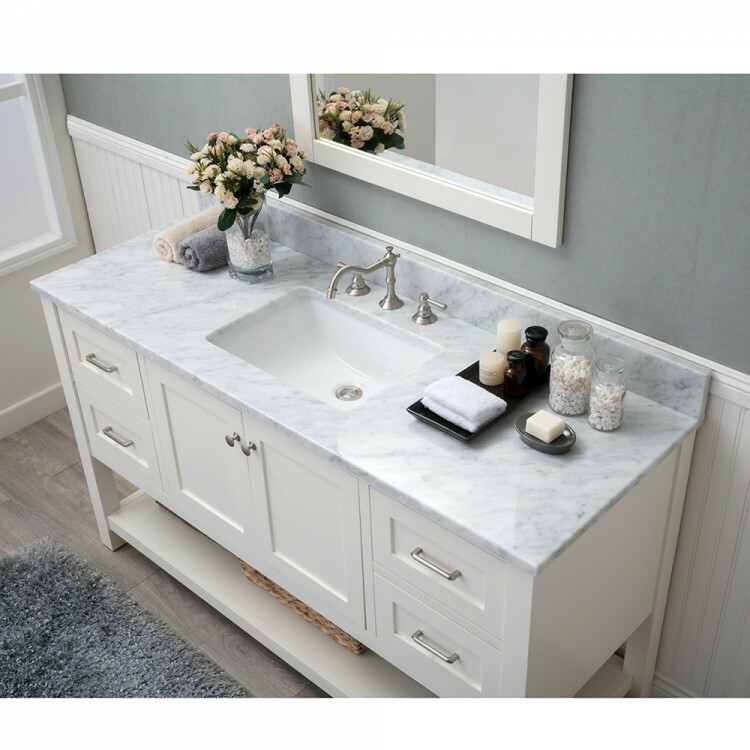 Carrera marble top is factory pre-sealed to prevent any staining and watermarks.